As an audio engineer, I'm underwhelmed by these and would like to propose alternatives for anyone considering upping their audio game for their streams. TASCAM is hardly known for their pre-amps (arguably the most important part of your signal path outside of the microphone). These are offered in a nice looking package that definitely appeals to the hobbyist, but allow me to pull the veil back a little bit. These offer 16-24bit audio at up to 96kHz sample rate. This is good. It's basically the standard anymore. At $149.99, though, you can acquire higher than the standard. My Proposal: https://www.sweetwater.com/store/detail/Scarlet2i2G2 . This prices at the same $149.99, but offers a 24bit/192kHz bit/sample rate. The only way this can increase (as far as the ADC is concerned) is moving to 32 bit or 32-bit floating point. Focusrite device does not provide built-in effects, though these effects are achievable in Gameshow or your DAW/Linear/Non-linear video editing software. Focusrite IS known for their pre-amps. They have always made very solid pre-amps notable for the level of transparency they offer. (They have very little colorization to the sound.) This isn't ALWAYS what recording engineers and producers go after, but it makes molding the audio easier (especially for amateurs). Focusrite device also offers balanced outputs. RCA outputs are notoriously noisy for pre-amplification signal paths. Shielding in RCA cables is usually an after-thought (if thought about at all). Balanced outputs utilize a 2nd signal wire receiving a mirrored (and inverted) version of the signal which is inverted a second time by the receiving device to cancel out any cable-born noise that may be introduced. (This process does create some distortion, but is generally the best option [depending on length of cables to amplifier]). Focusrite comes with a beginner's edition of Pro Tools 12. Pro Tools has, for a long time, been considered the industry standard of audio production workstations. This beginner's edition offers 16 channels, which is not a lot, but for a hobbyist or someone doing simple content creation, should be enough. While the THD and SNR aren't listed on the product page for the Focusrite scarlets, you can assume that they'll be inherently better than the TASCAM devices because of the balanced outputs, as well. As an audio guy and hobbyist musician, I cannot disagree with your assertions, as you are quite correct. 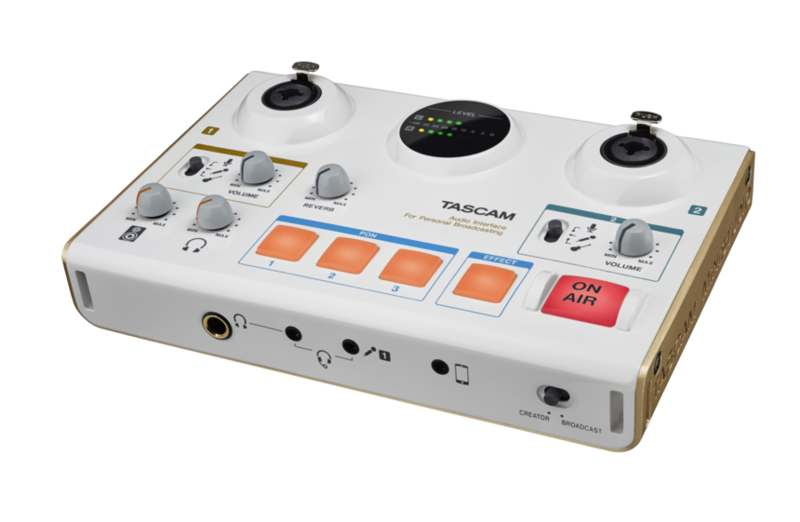 The comparison of a traditional audio interface against the TASCAM Ministudio is not exactly apples to apples however. If I were in the market for a budget audio interface, and my workflow centered around audio alone, or audio quality being the paramount concern, then sure, this device would not likely make it on to the list of my considerations. If I was looking for a device to accommodate my music hobby, while also playing double duty in ingesting high quality audio for streaming, I would once again likely lean towards a device that was designed with audio quality as the paramount concern. That is not the target market of the ministudio however. The ministudio is designed to ingest high quality audio from pro audio devices, while adding great streaming and podcasting features that really enhance the experience for content creators. 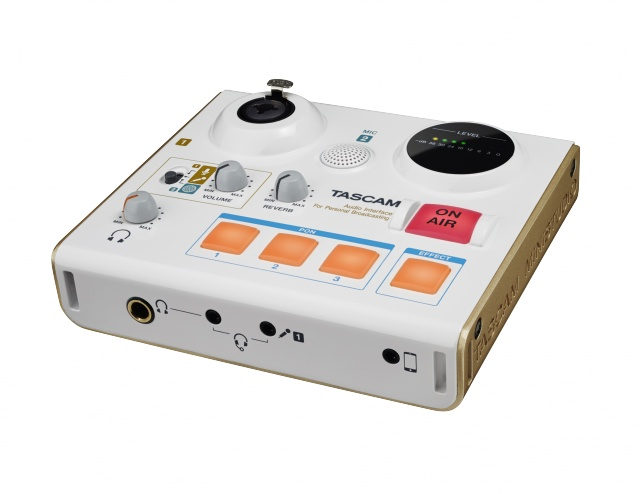 For a gamer, podcaster, or other various livestreaming acts, the ability to have a device that acts as pro audio interface, while also having hardware controls for effects/PON sounds, and array of input and output connection types, while also being simple to use, is invaluable. I have a gaming rig, and a recording rig. In order to incorporate a traditional audio interface into my various gaming equipment, I would need to buy numerous adapters to get from this connection to that, split my 3.5mm TRRS into a ¼” unbalanced while also taking the interface outputs and converting them from ¼” into the rings of the 3.5mm TRRS to playback to the headphones. I would also need to occupy channel two of the interface for my XLR microphone when I want to switch between the two. I don’t always want to use my condenser at my desk, because I don’t always stream, and sometimes the kids are being loud in the house. With the ministudio, all can be connected, and it is a simple flick of the switch to swap between the two. I still have a second channel, and I did not need any adapters. I also don’t have to play hokey pokey to get my single channel input to be dual mono in my games. It is already taken care of. I don’t have to change my default audio device or turn the volume down for one mic so I don’t have one mic left and the other right, etc. The Ministudio just makes everything simple. I also don’t need converter cables to go to my computer speakers, RCA is the connection I needed. This list goes on. Will purpose built recording interfaces have better sound quality? Many will, but when you are compressing that audio to go out to a CDN, and they are listening on any number of potential devices with varying audio reproduction capabilities that will likely lean towards the less pro side of things, the benefit of a purpose-built audio recording interface becomes less and less for the majority of game streamers. Can you hear a difference? In some workflows, thoughts with the discerning ear may very well be able to hear a difference, but in my personal opinion, the difference would be unnoticeable to most, audio pros and engineers excluded. TL;DR – When you factor in the amount of extra stuff you may need to buy to incorporate a traditional audio interface into your game streaming workflow, compare the difference in sound between the two, look at all the cool features you could have had, and factor in the reduction of complexity, the Ministudio looks much more like a dream come true for the typical game streamer. Audio engineers that understand the complex nature of audio routing and are happy to play with that on a potentially ongoing basis, might be more interested in the traditional approach to ensure studio quality sound through and through, especially if they are post-producing all their stream recordings. Please remember though, the average person often does know or care about the small difference in sound quality, that may or may not even be perceptible once it reaches the viewers, depending on the CDN. If I hook up my really nice cans, or my high end monitors, I might be able to tell the difference assuming their mic was also high end enough as well. If this was a lossless recording I was A/B comparing, I could certainly tell the difference assuming all aspects of the audio chain were of equivalent quality. It just seems really gimmicky to me. Everything extra that this does can be accomplished fairly easily in other ways. At the same time, my personal rig whether I'm streaming or not is an AT2020 into my console with my listening environment being 2 presonus eris e5s (which are fantastic studio monitors, btw). Excessive noise isn't an issue for me as my microphone is tuned to require me to be basically right on top of it before the noise gate opens up. I pick up close to 0 bleed from my monitors if I'm talking and 0 if I'm not. If your only option for input into your speaker amplifier is RCA, then sure, the argument against RCA doesn't apply. Toggling sound effects is a trivial matter, and arguably easier with a software solution simply because of the ability to have many more on toggle. (Another argument for MIDI/OSC/HUI/Mackie Control support in Gameshow) I'm sure to the untrained ear it sounds fine, and I won't say that TASCAM doesn't have good pre-amps in this device, as I haven't heard them personally, but having had a TASCAM console in the past, I can't say much positive for my past experiences with their pre-amps. We have been using this Device for our Podcast shows... We have the creator. Works great...Bryce basically took the words outta my mouth on your review!